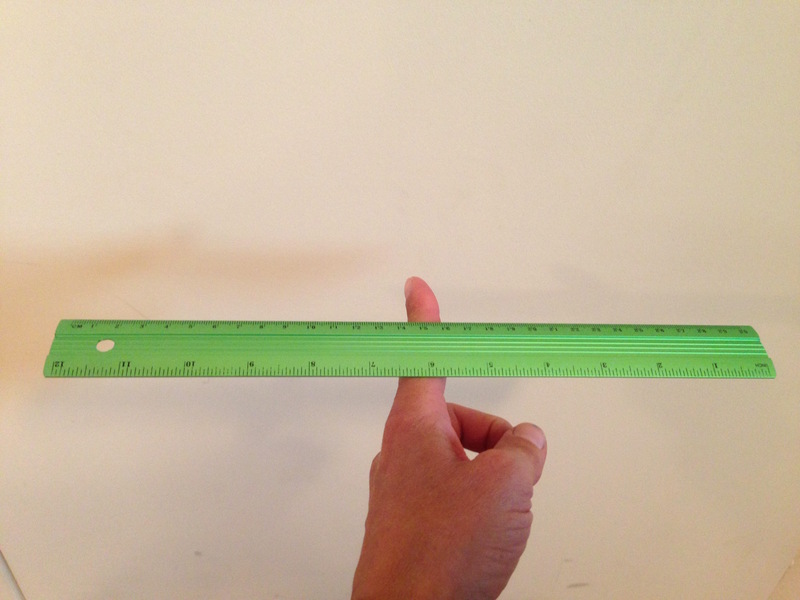 Balance a stick or ruler on your finger or a pencil on a desk. 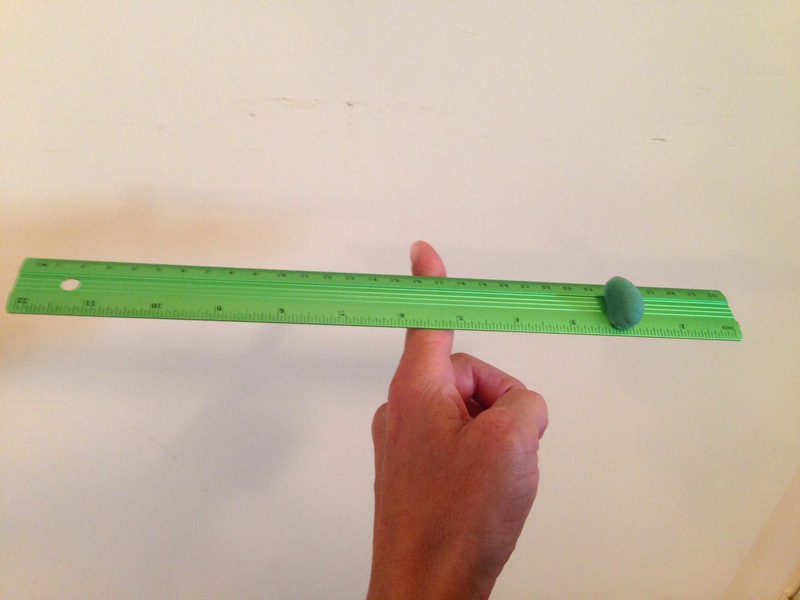 Experiment with adding mass to one or both sides of the stick or ruler, to see how it changes the balance point. More dramatic, but more chaotic with many long sticks in use. 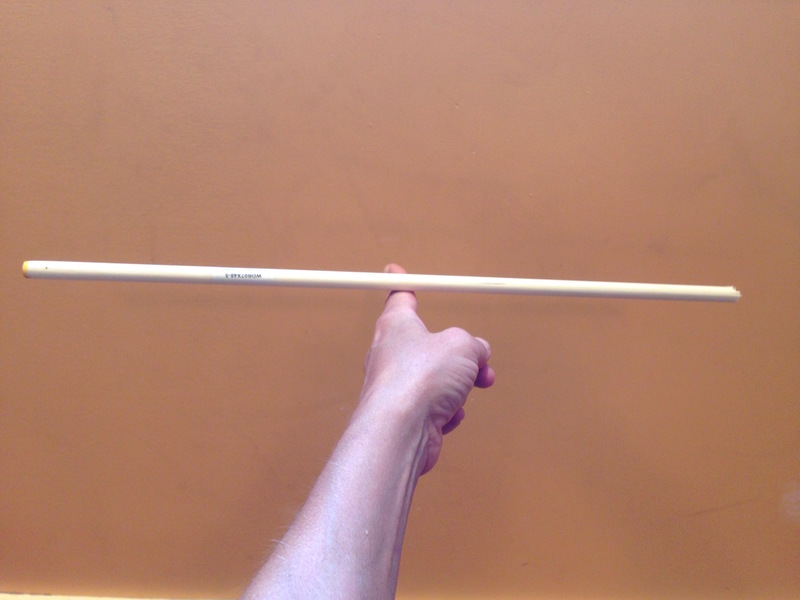 Balance the stick on one finger. The balance point should be half way along. This is because the mass of the stick is the same on each side, so gravity pulls down on each side with equal force. 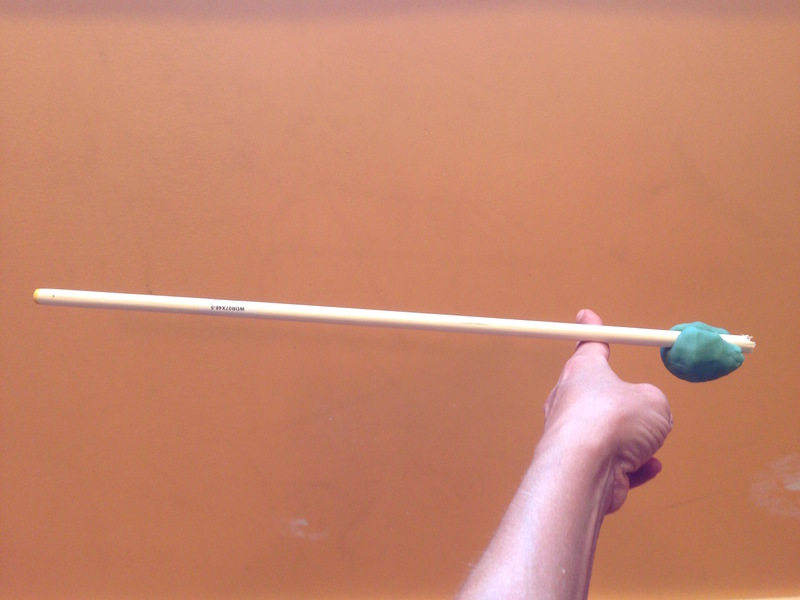 As the stick is an even width, the balance point will be in the centre. 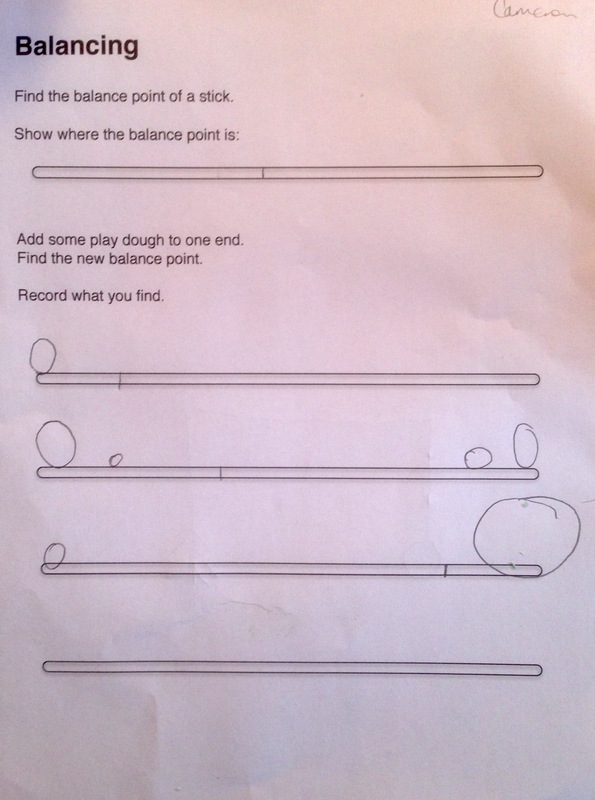 Now add some play dough to one end of the stick, and find the new balance point. It should be nearer the weight, as this end now has more mass, and so must be balanced by a longer length of rod. Now experiment with adding different sizes of play dough to different places along the stick. 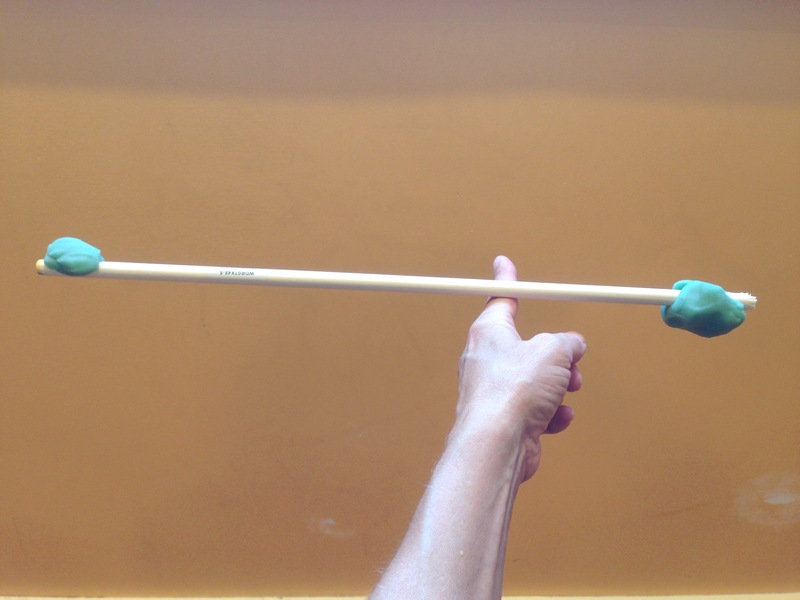 The balance point will move depending on the relative weights of each end of the stick. Students can draw what they find in each case (see photo and attached worksheet). Less fun with the smaller scale, but easier to manage and easily made quantitative with the ruler measurements. 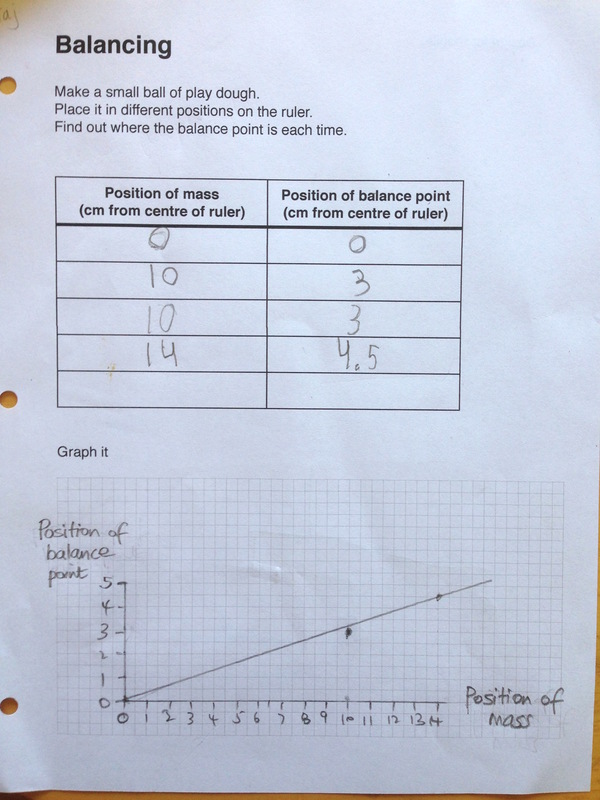 The same activity can be conducted with a ruler, and the markings used to record how far a mass is from the centre and how this affects the balance point. Graph the results and the points should make a straight line (though data will be more messy than this). To graph the data from multiple students on one graph, make sure they have the same sized play dough. 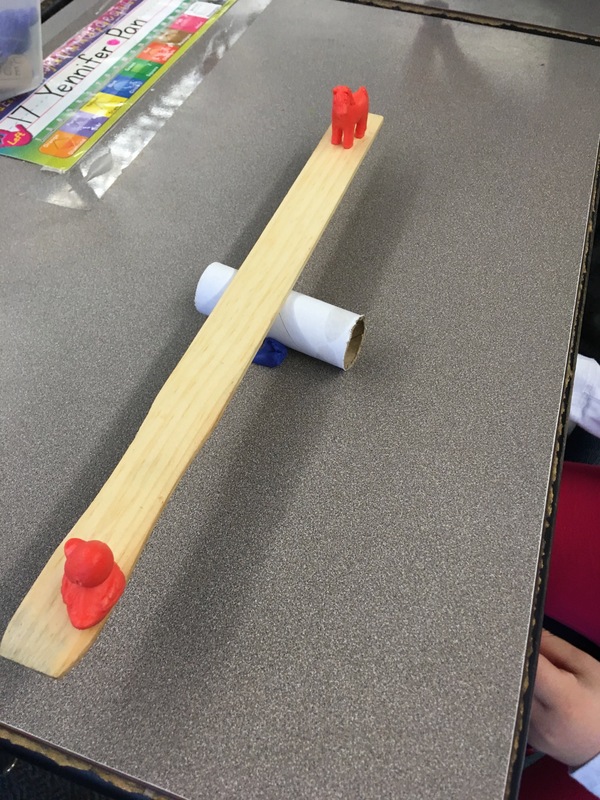 Students can also use a pencil to make a see saw with a ruler, and balance different sized balls of play dough on each end. Encourage investigation with questions: How does moving the fulcrum change how they balance? Can a small ball lift a large ball? How small can a small ball be to do this? Where does the fulcrum have to be to make them balance each other? 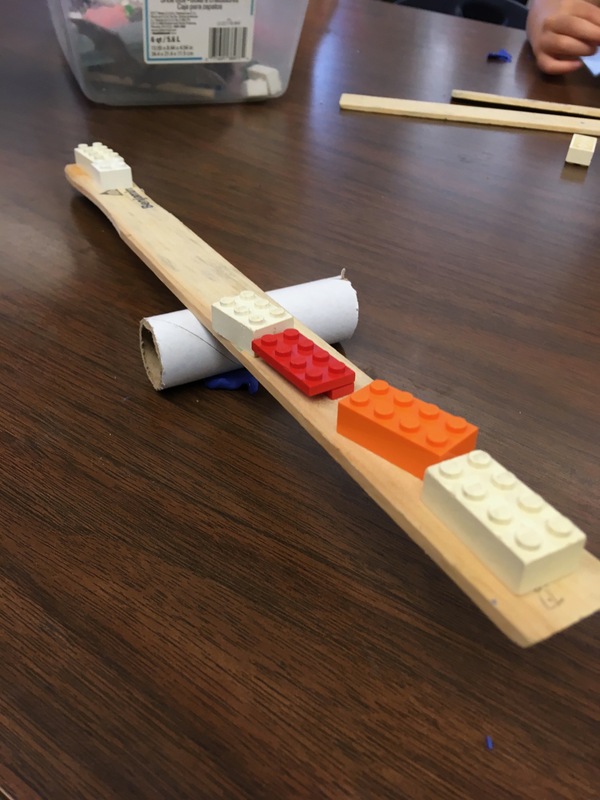 Students can also use these materials and be given additional materials to try lever free experimentation, for some less structured exploration of levers and balancing, probably best done after these more structured activities, to ensure some focus. 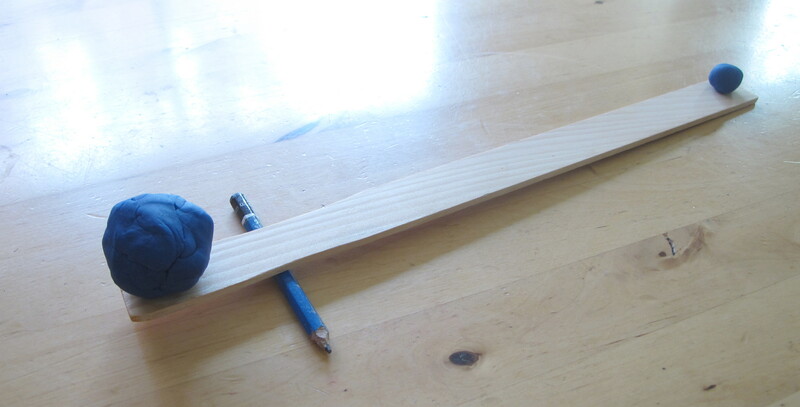 A ridged pencil can make it tricky to balance a ruler - add a small piece of play dough under the pencil to hold it still - maybe in combination with a smooth, round pencil? Using a ruler allows students to easily read off and take note of the position of their fulcrum. Adding a gram scale to weigh lumps of play dough would allow for some great data collection comparing balance points for varying lever lengths and load weights.